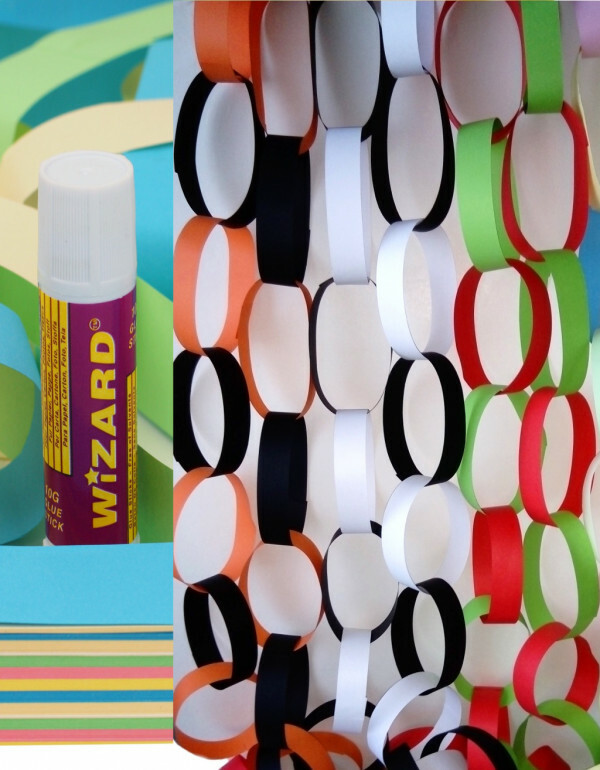 Packs of coloured paper strips for making paper chains for room decorations. Included is a glue-stick for construction. A choice of three different pack colours for Christmas, Halloween, other festivities and general party times! Size: Approx 30m of chains when made. Colours: A choice of: Assorted Colours, Black & White, Green & Red or Orange & Black.